​Week 9 provided NFL fans with a plethora of must-see games, including some notable offensive showcases that left viewers thoroughly entertained. 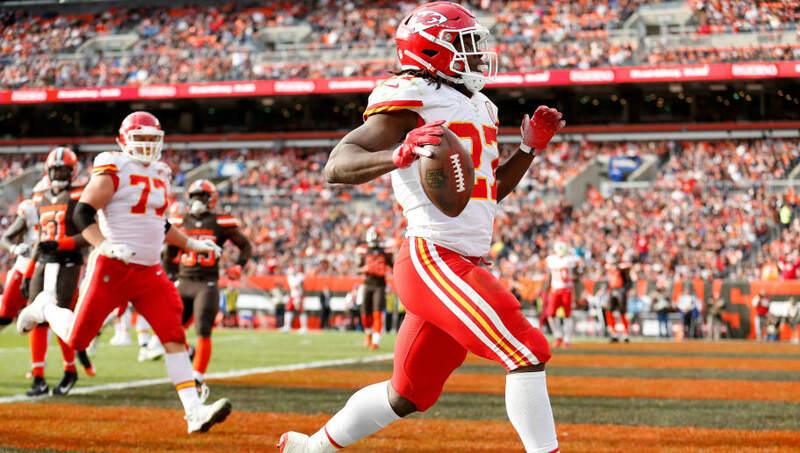 Now that this past weekend is behind us, the NFL named players of the week in each conference, and top offensive honors have been bestowed upon Kansas City Chiefs running back Kareem Hunt on the AFC side, with New Orleans Saints receiver Michael Thomas claiming the mantle for the NFC. ​​Thomas played a huge role in the Saints' conquest of the previously undefeated Los Angeles Rams in "America's Game of the Week." The third-year wideout hauled in 12 of his 17 targets for an insane 211 yards and a touchdown-- not to mention the​ throwback flip phone celebration a la Joe Horn in the end zone. No surprise, but Michael Thomas has been named NFC Offensive Player of the Week. A #Saints player has now been named either NFC Offensive or Defensive Player of the Week after 5 of the Saints eight games. As for Hunt, it was another day of work at the office for him in Cleveland against the Browns. The second-year phenom continues to be the perfect backfield weapon to complement his downfield passing game. Hunt took 17 carries for 91 yards and two scores and also managed to​ snag a 50-yard touchdown pass. ​​A truly strong week for both Hunt and Thomas. And with so much of the season still left to go, this may not be the last time they are so honored.